The prospect rankings schedule and a guide to fantasy tool grades can be found here. 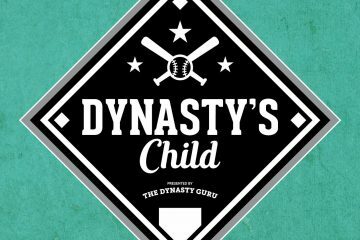 In addition, to see where the pitching prospects below fall in the overall rankings, you can obtain access to the updated Top 600 Dynasty League Players with a small donation. Luis Patiño was one of many in a loaded 2016 international signing class for the Padres. Like fellow Padres stud pitching prospect MacKenzie Gore, he utilizes an exaggerated leg kick to generate deception. While he lacks the athleticism, size (just 6’0″), and command of Gore, Patiño has similarly explosive stuff. Only 18 years old, he already throws gas, sitting in the mid-90s and touching 99 mph. In addition to the fastball, Patiño throws three off-speed pitches (12-to-6, upper-70s curveball, upper-80s slider, firm, upper-80s change-up), all of which receive plus grades from various observers. A third round pick in the 2016 Draft, Dustin May is a projectable 6’6” and 190 pounds. As such, many predict even more velocity for his low-to-mid-90s fastball, which already touches 97 mph. Notably, his fastball has tremendous sinking action, generating tons of ground balls. In fact, May held the hitter-friendly California League in ground ball percentage (56%) by nearly six percent. Further, he throws a low-80s, power breaking ball with a high spin rate, which either has curveball or slider shape any given day. Meanwhile, his mid-80s change-up remains a distant third pitch, but continues to make progress. Arguably, the most impressive thing about May is his advanced control (5.3% BB) for his size. Ultimately, he profiles as a mid-rotation, innings-eating starter with a chance for more with a velocity boost. An inconsistent college arm, Corbin Martin has been nothing but sensational in professional ball. In particular, his command and control has made significant progress, and now projects to average (or better). Additionally, his deep, four-pitch repertoire should have no issue turning over a lineup multiple times. Martin employs low-to-mid-90s fastball with solid movement, a sharp, mid-80s slider, an upper-70s curveball, and a mid-80s change-up. All four pitches flash above-average, while his high spin rate fastball and slider both flirt with plus grades. With a strong and athletic frame, Martin profiles as a workhorse, mid-rotation starter. Due to medical concerns, Griffin Canning fell to the second round of the 2017 draft. Thereafter, the Angels shut him down. This spring, he returned healthy, and he rapidly ascending through the minors, reaching Triple-A by June. Notably, his stuff took a small step forward, with a low-to-mid-90s fastball and three above-average flashing secondaries (slider, curveball, and change-up). Although his repertoire is replete with average-to-above offerings, Canning has an advanced feel to pitch and sequence hitters. A polished arm with a deep arsenal, he likely will arrive in 2019 as a ready-made 4-starter. Justin Dunn mostly worked out of the bullpen in college. Nonetheless, the Mets selected him in the first round of the 2016 Draft, due to his lethal one-two punch (mid-90s fastball and mid-80s slider). The transition to starting did not go well in his first full season last year, as Dunn struggled with command and control (11.1% BB). Returning to High-A this year, he enjoyed a big rebound season. His success likely is due to improved control (9% BB) and secondaries (upper-70s curveball and firm, upper-80s change-up). Now, Dunn employs a deep, four-pitch repertoire, and saw his K-BB% jump by nearly 12%! The Marlins acquired Sandy Alcantara from the Cardinals in the Marcell Ozuna trade late last year. Following the trade, he reincorporated a low-80s curveball, and he successfully navigated the treacherous Pacific Coast League. Overall, there is a lot to like about Alcantara. His big arm generates easy, upper-90s velocity, with four- and two-seam variants, inducing plenty of ground balls. Further, his upper-80s change-up and mid-80s slider both are presently above-average offerings. The open question is whether he will have enough command and control to start. Throughout the year, he mixed stretches of strike-throwing with bouts of wildness. Due to his poor fastball command, the pitch plays down. At his best, Alcantara looks the part of a mid-rotation starter. At his worst, he is a volatile middle reliever. A tall and lean left-handed pitcher, Matthew Liberatore is as projectable as they come. His repertoire is deep and above-average, including a low-to-mid-90s fastball, a 12-to-6, low-70s curveball, a low-80s changeup, and a mid-80s slider. At times, his fastball, curveball, and changeup each flash plus. Further, Liberatore exhibits advanced pitchability, mound presence, and command for a prep arm. Fun fact: he is best friends with Nolan Gorman. Adonis Medina resembles his teammate Sixto Sanchez in many ways. Both are athletic, lack ideal size (6’1″), and possess three potential above-average (or better) offerings. While Medina is a tick behind Sanchez across the board, he closed season fully healthy. Normally, he sits in the low-to-mid-90s with a sweeping, low-80s slider and much-improved, mid-80s change-up. Medina’s plus athleticism and present control (7.6% BB) allow projection on his command and control to above-average. A first round pick in the 2017 Draft, Nate Pearson had a lost season. After missing the first month with an olbique injury, he fractured the ulna bone in his right forearm on a comebacker in his first start. Following the season, he participated in the Arizona Fall League, enthralling with huge velocity and little control. That velocity, though! Pearson regularly sits in the upper-90s, touching 103 mph, with an upper-80s slider, touching 95 mph, an upper-80s change-up, and a change-of-pace, mid-70s curveball. With size (6’6”), arm strength, and a promisingly deep repertoire, he is a potential frontline starter. However, command concerns, health issues, and unrefined secondaries (change-up and curveball) provide significant risk in his profile. Even so, Pearson should easily profile as a bullpen ace. The White Sox acquired Dane Dunning as the third pitching prospect in the Adam Eaton trade. A fast-rising, polished college arm, he was well on his way to the majors until a moderate right elbow sprain sidelined him the rest of this season. Dunning generates tons of ground balls (51.6%) from a heavy sinking, low-90s fastball. In addition, he has two solid secondaries, an 11-to-5, upper-70s curveball, which flashes plus, and a low-80s change-up. With strong command of a solid, but unexceptional, repertoire, Dunning profiles as an innings-eating, 4-starter. Tony Santillan has come a long way since the Reds selected him in the second round of the 2015 Draft. Indeed, he had 2 less walks in 80 more innings this year than his first full season in 2016. His improved control is allowing his huge stuff to shine. Santillan works in the mid-90s, with an upper-80s power slider and a firm, upper-80s change-up. Although he has made a lot of progress, he still needs to sharpen his command and further develop his change-up. Minutes before the waiver trade deadline in 2017, the Tigers acquired Franklin Perez from the Astros as part of the Justin Verlander trade. Unfortunately, injuries plagued his first full season with his new club. In March, he suffered a right lat strain, and, in July, the Tigers shut him down with right shoulder capsular inflammation. When healthy, Perez displays advanced pitchability, with control of four solid pitches. At the beginning of the season, Brady Singer was an early favorite as the first overall pick in the MLB Draft. Diminished velocity, a concerning, high energy delivery, and low arm slot, however, caused him to fall to eighteenth overall. Regardless of his shifting draft stock, he continues to carry plenty of fantasy upside. With a tall and lean frame, Singer slings a running, low-to-mid-90s fastball, a biting slider, and an inconsistent, tumbling change-up. Further, he has plenty of remaining projection. A fiery competitor, Singer should be a quick-mover and is already nearly MLB-ready. The twelfth overall pick in the 2017 Draft, Shane Baz possesses massive upside. Hence, it was surprising the Pirates included him as the player-to-be-named-later in the Chris Archer trade. Notably, Baz has three potential plus pitches, including a mid-90s fastball with natural arm-side run, a sharp, upper-80s slider/cutter, and an 11-to-5, upper-70s curveball. In addition, he continues to work on an inconsistent, mid-80s change-up. This inconsistency applies equally to his mechanics, command, and control. Given his athleticism, ideal frame, and improved delivery, Baz projects to develop average command long-term. In addition to his 80-grade pitching last name, Cole Winn has an electric and deep repertoire. A spin rate maestro, his low-to-mid-90s fastball generates top-of-the-scale rates, including 2660 RPM at the National High School Invitational. Further, he employs three solid secondaries: a 12-to-6, upper-70s curveball, a low-80s slider, and an emerging changeup. With plus athleticism and a clean, repeatable delivery, Winn should develop above-average command. Three years ago, the Padres acquired Logan Allen from the Red Sox as part of the package for Craig Kimbrel. Since then, he has outperformed all expectations, arriving in Triple-A this year at just 21 years old. Allen is a finesse left-handed pitcher with a deceptive delivery. His repertoire includes four mostly average pitches: a low-90s fastball, a mid-80s slider, an 11-to-5, upper-70s curveball, and a mid-80s change-up. However, his pitchability, solid command, and the aforementioned deception allow his entire arsenal to play up. As such, Allen profiles as a MLB-ready 4-starter, similar to fellow Padre, Joey Lucchesi. Kolby Allard is a former first round pick who debuted in the majors at just 20 years old. Despite his rapid ascension, he lacks the upside of many fellow Braves pitching prospects. Specifically, his fastball is firmly below-average, sitting in the upper-80s (89 mph average in debut). Luckily, Allard has advanced command of two above-average off-speed pitches: a low-70s curveball and an upper-70s change-up. Relying on craftiness, command, and control, he is high-floor 4-starter. Nineteen months after the Astros signed Cionel Perez for $2 million from Cuba, he debuted in the majors. In his brief debut, he flashed tantalizing stuff out of the bullpen, including a mid-90s fastball (95 mph average), a mid-80s slider, and a firm, upper-80s change-up. While not utilized, he also occasionally throws an upper-70s, loopy curveball. Due to his diminutive size (5’11”), Perez likely has a future in the bullpen, as soon as 2019. A second round pick in the 2017 MLB Draft, Spencer Howard possesses an ideal frame with a superb repertoire, but questionable command. To close the season, however, he provided a glimpse of his potential when he can command his arsenal, including a 9-inning, complete game no-hitter in his final start! His repertoire supports his performance, with a mid-90s fastball and three above-average flashing secondaries (change-up, curveball, and slider). A high-upside arm, Howard could develop into a 3-starter with further refinement of his breaking balls and command. Taylor Widener sports a live, low-90s fastball with arm-side tail, a sharp mid-80s slider, and a low-80s diving change-up. 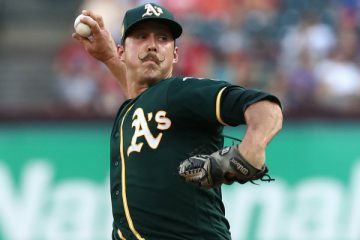 Both his fastball and slider profile as above-average offerings, while his change-up has made significant progress and elicits plenty of swing-and-miss. Meanwhile, his control continues to improve, though he can struggle commanding his pitches given their movement and his violent delivery. Speaking of which, Widener has a three-quarters, slight crossfire delivery and smaller stature (6’0″), which lead many to view him as a bullpen arm. The following prospects may rise significantly with strong showings in 2019. Each has immense upside, but each is also years away from the majors. Anderson Espinoza, San Diego Padres. The Padres acquired Espinoza in 2016 as the headliner in a package for Drew Pomeranz. Then, he underwent Tommy John surgery in August 2017. Consequently, he missed the entire 2018 season. When healthy, Espinoza has huge potential, with advanced command of a mid-90s fastball and two plus secondaries (curveball and change-up). Of course, his small stature (6’0”) and his health are huge questions moving forward. Likely role: extreme-risk 2-starter. Luis Oviedo, Cleveland Indians. This year, Oviedo dominated the New York-Penn League (1.88/0.92 ERA/WHIP) with a low-to-mid-90s fastball and three above-to-above secondaries (slider, curveball, and change-up). Likely role: high-risk 3-starter. Eric Pardinho, Toronto Blue Jays. A high-profile international signee from 2017, Pardinho performed well in the Appalachian League at just 17 years old (2.88/1.06 ERA/WHIP). Already, he has advanced command of three potential above-average pitches (low-90s fastball, 11-to-5, low-80s curveball, and low-80s change-up). On the downside, he has a small frame (5’10”) and, as such, observers question his upside and durability. Likely role: high-risk 3-starter. Roansy Contreras, New York Yankees. At just 18 years old, Contreras breezed through the New York-Penn League and Low-A (2.42/1.03 ERA/WHIP) behind a huge, mid-to-upper-90s fastball and a power curveball. However, his size (6’0″) and present command are not ideal. Likely role: high-risk 3-starter or high-leverage reliever. Brailyn Marquez, Chicago Cubs. A projectable 6’4″ left-handed pitcher, Marquez already sits in the mid-90s with a promising curveball, change-up, and command. Likely role: high-risk 4-starter or high-leverage reliever. These pitching prospects already received a cup of coffee in the majors. Each should make a return appearance next year. Dakota Hudson, St. Louis Cardinals. A first round pick in the 2016 Draft, Hudson debuted out of the bullpen two years later. While he found success there, his future is in the rotation. With a sturdy 6’5″ frame, Hudson is a potential workhorse, ground ball (58.2%) pitcher. Likely role: medium-risk 4-starter. Dennis Santana, Los Angeles Dodgers. After a strong start in the upper minors (2.54/1.05 ERA/WHIP), Santana earned a major league promotion. Unfortunately, he immediately suffered a rotator cuff strain. When healthy, he sports a low-to-mid-90s fastball, a low-80s slider, and a solid mid-80s changeup. Likely role: medium-risk 4-starter or high-leverage reliever. Stephen Gonsalves, Minnesota Twins. Like Joey Lucchesi, Gonsalves relies on deception from a quirky, crossfire delivery to allow his average repertoire to play up. This year, however, he completely lost his normally average command and control (14.3% BB), and he had a rough introduction to the majors. Likely role: medium-risk 4-starter. Enyel De Los Santos, Philadelphia Phillies. The Phillies acquired De Los Santos from the Padres for Freddy Galvis last off-season. This year, he rewarded his new team with a strong season in Triple-A (2.63/1.16 ERA/WHIP) and a brief debut. While he throws hard (94.7 mph average) and has a deep, four-pitch repertoire, he lacks much swing-and-miss stuff. Likely role: medium-risk 4-starter. Sean Reid-Foley, Toronto Blue Jays. A power pitcher, Reid-Foley amassed 150 strikeouts across 129 2/3 innings in the upper minors. He has a deep, four-pitch repertoire, headlined by a mid-90s fastball. His secondaries are inconsistent, but have the potential to be average offerings. Likely role: medium-risk 4- or 5-starter. Expect several of the following players to see time in the majors this year. Injuries or under-performance at the major league level could elevate several to starting jobs. Albert Abreu, New York Yankees. Abreu has loud stuff, with three potential plus pitches (mid-90s fastball, 11-to-5, a low-80s curveball, and mid-80s change-up). Thus far, he has had difficulty staying healthy and building innings, and his command remains a work-in-progress. Likely role: high-risk 3-starter or high-leverage reliever. Jorge Guzman, Miami Marlins. The Yankees acquired Guzman (and Abreu) for Brian McCann in 2016, then shipped him to the Marlins as the headliner for Giancarlo Stanton. Nearly 23 years old, he has yet to move past A-ball. Still, Guzman possesses a big arm, sitting in the upper-90s with power, mid-80s curveball. However, his command and control (14.9% BB) are well below-average. Likely role: high-risk 3-starter or high-leverage reliever. Adbert Alzolay, Chicago Cubs. Alzolay was on the fast track to the majors before a Grade 1 lat strain ended his season in late May. Given his two-pitch (fastball and curveball) repertoire and smaller size (6’0”), he looks like a reliever. However, his solid command and confident mound presence may allow him to profile in the rotation. Likely role: medium-risk 4-starter or high-leverage reliever. Jose Suarez, Los Angeles Angels. A small (5’10”) and stocky, left-handed pitcher, Suarez moved from High-A to Triple-A over just two months at just 20 years old. Notably, his stuff improved this year, with more velocity, a developing breaking ball, and a plus changeup. Likely role: medium-risk 4-starter. Brock Burke, Texas Rangers. Burke impressed the Rangers so much, they parted with Jurickson Profar this off-season. The big (6’4″) lefty has a low-to-mid-90s fastball, a mid-80s slider, and an improved, mid-80s change-up. Likely role: high-risk 4-starter or high-leverage reliever. These pitching prospects are on the cusp of the majors, already reaching and performing in the upper minors. Cal Quantrill, San Diego Padres. The son of former pitcher Paul Quantrill, Cal was the eighth pick in the 2016 draft despite missing his draft year due to Tommy John surgery. Primarily, he relies on a low-to-mid-90s and a fading, low-80s change-up, with two average breaking balls (slider and curveball). Likely role: medium-risk 4-starter. Beau Burrows, Detroit Tigers. A first round pick in the 2015 Draft, Burrows is a fly ball-heavy pitcher (45.8%) with worse control than his walk rate dictates (61.7% strikes). Regardless, he has a solid four-pitch mix, including a low-to-mid-90s fastball, an upper-70s curveball, a mid-80s change-up, and a mid-80s slider. Likely role: medium-risk 4-starter. Mitch White, Los Angeles Dodgers. It took awhile for White to recover from a late start to the season due to minor injuries. Through early July in Double-A, he struggled (6.24/1.61 ERA/WHIP). Over his last 11 starts, he was excellent (2.70/1.15 ERA/WHIP). Still, this year was about building innings and maintaining health. At his best, White flashes three potential plus pitches (fastball, cutter, and curveball). Likely role: high-risk 3-starter. T.J. Zeuch, Toronto Blue Jays. A first round pick in the 2016 Draft, Zeuch is a tall (6’7), ground ball (56.8%) pitcher. He pitches to contact with a sinking, low-90s fastball and a pair of solid breaking balls (curveball and slider). Given his size and approach, Zeuch elicits comparisons to Doug Fister. Likely role: medium-risk 4- or 5-starter. Peter Lambert, Colorado Rockies. A second round pick in the 2015 draft, Lambert is a rare, intriguing Rockies pitching prospect. A polished arm, he effectively and efficiently commands (4.5% BB) four average-to-above pitches. Likely role: medium-risk 4- or 5-starter. These pitching prospects are one step closer to the show, already reaching High-A, and in some cases, beyond. Deivi Garcia, New York Yankees. A little-known 2015 international signee, Garcia has rapidly ascended through the minors, reaching Double-A in early September. Given his diminutive size (listed at just 5’10” and 163 pounds), and lethal low-to-mid-90s fastball and plus curveball combination, he likely profiles best as a future reliever. Likely role: high-risk 3-starter or high-leverage reliever. Joey Wentz, Atlanta Braves. The 40th overall pick in the 2016 Draft, Wentz routinely draws comparisons to Cole Hamels, as a left-handed, low-90s control and off-speed specialist. This year, he performed well in High-A between various stints on the disabled list due to minor injuries. Tall (6’5″) and lean, he has room to fill out and gain velocity. Likely role: medium-risk 4-starter. Kyle Muller, Atlanta Braves. Selected four picks after Joey Wentz in the 2016 Draft, Muller is another tall (6’6″) left-handed arm. This year, he advanced three levels at just 20 years old. Muller has a solid, three-pitch arsenal, including a low-to-mid-90s fastball, an upper-80s slider, and a mid-80s change-up. Likely role: medium-risk 4-starter. Tony Gonsolin, Los Angeles Dodgers. The former reliever flourished this year in his transition to a starting role (2.60/1.14 ERA/WHIP with 155 strikeouts in 128 innings). Most importantly, his repertoire matches his performance, with a mid-90s fastball and three average-to-above secondaries (slider, curveball, and splitter). While his control is solid (8% BB), Gonsolin has below-average command and a high-effort delivery. Likely role: high-risk 4-starter or high-leverage reliever. Tyler Phillips, Texas Rangers. With a sturdy 6’5″ frame, Phillips profiles as a ground ball-inducing (53.6%), workhorse starter. He has excellent control (3% BB) of three average-to-above pitches: a low-to-mid-90s, sinking fastball, an 11-to-5, upper-70s curveball, and a mid-80s change-up. Likely role: high-risk 4-starter. The 2017 Draft included many intriguing pitching prospects, some disappointed and some surprised in their first full professional season. J.B. Bukauskas, Houston Astros. The fifteenth overall pick, Bukauskas missed half the season due to a back injury. Upon his return, he was lights out . Bukauskas is a seasoned college arm with a lethal one-two punch (mid-90s fastball and upper-80s slider) and an improving, but firm, upper-80s change-up. Given his smaller size (6’0”), high-effort delivery, and command concerns, he is a potential relief risk. Likely role: high-risk 3-starter or high-leverage reliever. Alex Faedo, Detroit Tigers. The eighteenth overall pick, Faedo suffered reduced velocity this year, and continuing concerns regarding his delivery. Most troubling, he allowed 15 home runs in just 60 innings in Double-A. At his best, Faedo has advanced command of a running, low-90s fastball and a sharp, mid-80s slider. Likely role: medium-risk 4-starter. DL Hall, Baltimore Orioles. The 21st overall pick, DL Hall dominated Low-A over his last 13 starts (0.89/0.96 ERA/WHIP). He relies on a low-to-mid-90s fastball, an upper-70s curveball, and a promising, mid-80s change-up. Further, his polished, smooth delivery bodes well for his command and control. Likely role: high-risk 3-starter. Hans Crouse, Texas Rangers. A second round pick, Crouse has a dynamic, mid-to-upper-90s fastball and a wipeout slider. However, his mechanics (violent delivery) lead to command issues and his change-up remains a distant third pitch. Likely role: high-risk 3-starter or high-leverage reliever. Zac Lowther, Baltimore Orioles. A second round pick, Lowther is a finesse, left-handed pitcher with a deceptive delivery and advanced command. Although his fastball only sits in the upper-80s, it has plenty of run and plays up due to deception and extension. Furthermore, Lowther has two average-to-above off-speed pitches: a mid-70s curveball and a mid-80s change-up. Likely role: medium-risk 4- or 5-starter. The 2018 Draft included many intriguing pitching prospects, from raw high school teenagers to seasoned college arms. Shane McClanahan, Tampa Bay Rays. The 31st overall pick, McClanahan is a high-upside, high-risk left-handed pitcher. Early in the spring, he would sit in the mid-90s and flash two above-average-to-plus off-speed pitches (mid-80s changeup and low-80s slider). As the draft approached, however, his command disappeared and his stuff regressed. Likely role: high-risk 3-starter or high-leverage reliever. Logan Gilbert, Seattle Mariners. 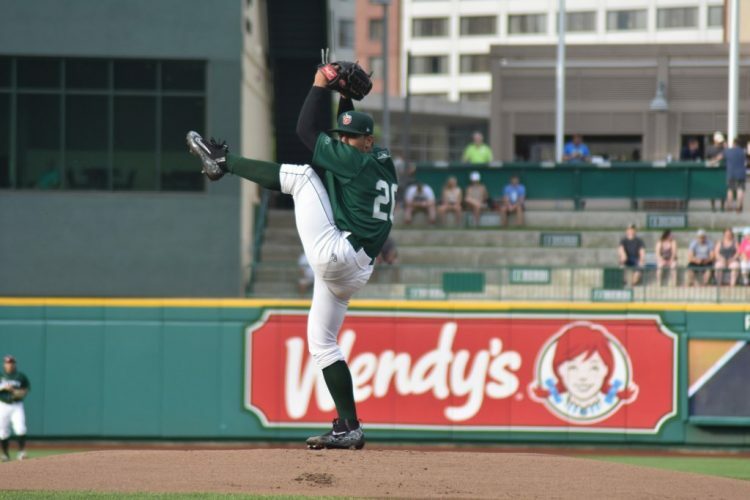 The fourteenth overall pick, Gilbert showcases a four-pitch mix, including a low-90s fastball with plenty of movement and three average-to-above secondaries (curveball, slider, and changeup). Relying on repertoire depth, solid command, and pitchability, he is already a reliable, polished innings-eater. Likely role: medium-risk 4-starter. Ryan Weathers, San Diego Padres. The seventh overall pick, Weather is the son of former MLB pitcher David Weathers. The definition of above-average, he receives above-average grades on every pitch (fastball, curveball, and change-up) and his command. Likely role: medium-risk 4-starter. Jackson Kowar, Kansas City Royals. The 33rd overall pick, Kowar has a projectable, tall and thin frame. As such, it is reasonable to believe his low-to-mid-90s fastball will sit more consistently around 95-96 mph in the future. Arguably his best pitch, however, is his fading, low-80s changeup. On the other hand, his mid-70s, 12-to-6 curveball and command are erratic. Likely role: medium-risk 4-starter. Ethan Hankins, Cleveland Indians. The 35th overall pick, Hankins saw his draft stock plummet due to shoulder tightness and regressed stuff upon return. Previously, he has flashed a mid-90s fastball, touching 98 mph, with two promising secondaries (changeup and curveball). Further, his projectable 6’6″ frame portends even more velocity. Likely role: high-risk 3-starter. The acronym TINSTAAPP exists for a reason. These pitching prospects continue to recover from serious injuries. James Kaprielian, Oakland Athletics (Tommy John surgery in April 2017). When healthy, Kaprielian possesses a dominant four-pitch arsenal, including a sinking, mid-90s fastball, an upper-80s hard slider, a mid-80s changeup, and a low-80s curveball. Braxton Garrett, Miami Marlins (Tommy John surgery in June 2017). When healthy, Garrett features a plus curveball, solid fastball, and promising changeup. Due to his athleticism and projectable, lean frame, he may add more velocity with command of three plus pitches. Jason Groome, Boston Red Sox. (Tommy John surgery in May 2018). When healthy, Groome sports an elite, upper-70s, 11-to-5, hammer curveball. Further, he throws a low-to-mid-90s fastball and a promising, low-80s, sinking changeup. A large 6’6” and 220 pounds, he is also projectable. Anthony Banda, Tampa Bay Rays. (Tommy John surgery in June 2018). When healthy, Banda is a nearly MLB-ready 4-starter, with a mid-90s fastball and two inconsistent secondaries (curveball and changeup). These pitching prospects are potential dominant late-inning arms. Zack Burdi, Chicago White Sox. A future closer, Burdi unfortunately underwent Tommy John surgery in July 2017. When healthy, he possesses an elite, upper-90s fastball, a wipeout slider, and a tumbling changeup. Most recently, he performed well in the AFL. Ty Buttrey, Los Angeles Angels. Briefly the closer for the Angels this year, Buttrey should be in position to compete for the role again in 2019. During his debut, he showcased a mid-90s fastball (96 mph average), a mid-80s change-up, and a low-80s slider. Darwinzon Hernandez, Boston Red Sox. Thus far, Hernandez has spent most of his time in the rotation, where his poor command did not show well (13.7% BB). Late in the year, however, he moved to the bullpen, turning heads in the AFL (24 strikeouts in 11 1/3 innings). Hernandez is a left-handed pitcher with elite stuff, including a lively, mid-90s fastball, a wipeout, mid-80s slider, and a solid, upper-80s change-up. 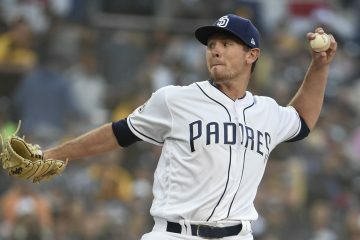 Andres Munoz, San Diego Padres. A sore elbow held Munoz out until mid-June. When he returned, he (19) was one of the youngest players in Double-A Texas League. Despite his youth, he shined, behind an upper-90s fastball with late movement and an improved power slider. Pitching is an incredibly deep position. As such, many players listed are without write-ups. If you want to learn more about any of these players, or unlisted players, feel free to ask in the comments! Next up, Upon Further Review: Notable Grade Changes. Stay tuned!